It is not about the leader’s performance… it is about the leader’s impact. Great leaders make their voices heard. The Leader Speaks is a highly experiential workshop, designed to provide participants with the theory, application, practice and feedback necessary to significantly accelerate their communication effectiveness. Through a series of thought-provoking lecturettes, experiential exercises, video case studies and communication practicums participants learn how to use their natural leadership and communication talents. 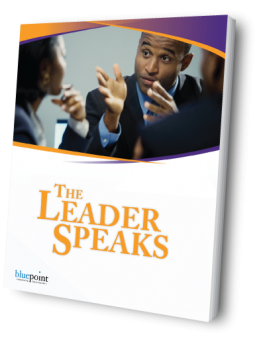 Want to find out more about The Leader Speaks?